At Touch, feels it's our obligation to be environmentally friendly by using green products and practices whenever possible. Our Milltown, New Jersey, beauty salon uses the finest items made by Goldwell Professional Hair Care, such as Nectaya and Elumen Colors. These products offer a seemingly endless selection of natural-looking colors that nourish and support your hair. 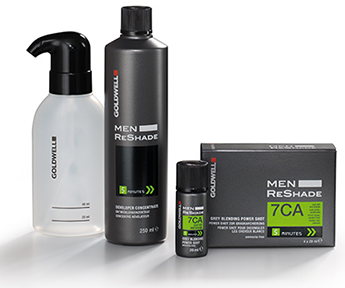 Many of the Goldwell products we use are good for the environment and free of harmful ingredients such as sulfates, parabens, formaldehyde, and silicones. By offering more natural, green treatments and options, we're able to do our part to help the Earth and maintain the health and well-being of our clients while not sacrificing exemplary results. Nectaya provides 100% gray coverage and long-lasting color with no ammonia, no odor, and no scalp irritation. We also use the latest innovation of color ELUMEN, which offers gentleness with durability that's as long-lasting as conventional permanent hair colors.